All the stats and facts from the forty seventh match of IPL 2018 between Mumbai Indians and Rajasthan Royals. 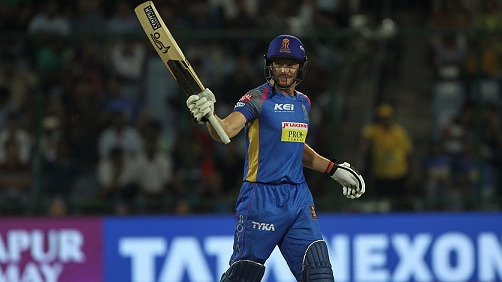 Opener Jos Buttler's fifth consecutive fifty powered Rajasthan Royals to an emphatic seven wickets win over defending champions Mumbai Indians at the Wankhede Stadium in Mumbai. With third consecutive and overall sixth win of IPL 2018 campaign Rajasthan Royals jumped to the fifth position in the points table. On the other hand, Mumbai Indians suffered their seventh loss of this season. Rajasthan Royals after winning the toss and opting to bowl first restricted Mumbai Indians to 168/6 and chased down the target in 18 overs. 2 - Jos Buttler became the second player to score the fifties in 5 consecutive innings in the IPL after Virender Sehwag. 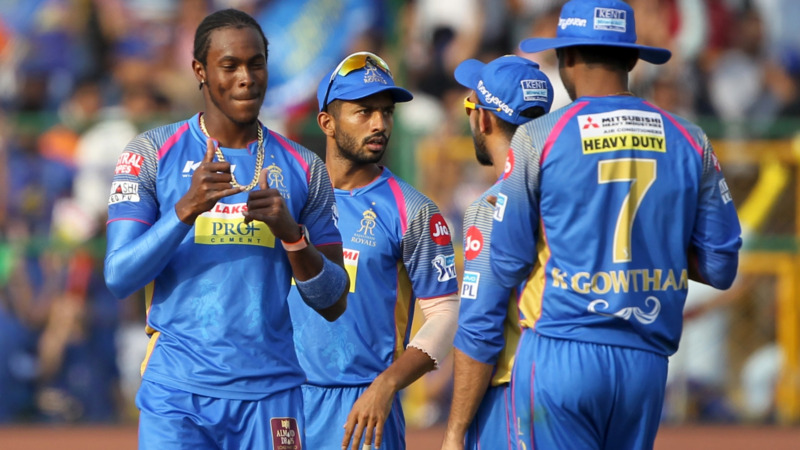 2 - This was the Rajasthan Royals' second win over Mumbai Indians at the Wankhede Stadium, Mumbai and first since 2011. 5 - Jos Buttler (509) is the fifth player to score 500 runs in IPL 2018 after Rishabh Pant (582), Kane Williamson (544), KL Rahul (537) and Ambati Rayudu (535). 12 - Rohit Sharma bagged this 3rd duck in this season and overall 12th duck in the Indian Premier League history. 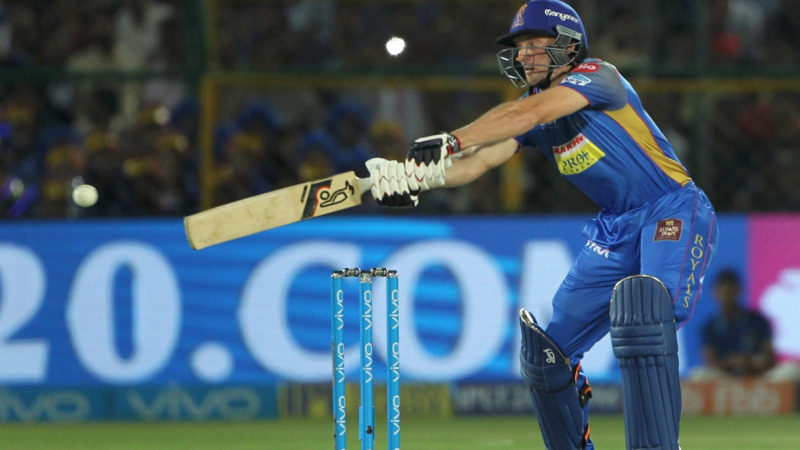 129.67 - Jos Buttler's batting average as an opener in this IPL season, he has scored 389 runs at an average of 129.67 and at a strike rate of 164.85 in 5 innings in the opening. 473 - Surya Kumar Yadav has scored 473 runs in IPL 2018 - the most runs by an Indian uncapped player in the IPL history. He went past Paul Valthaty's tally of 463 runs that he scored in IPL 2011. 1036 - Jos Buttler became the first English player to score 1000 runs in the Indian Premier League. He has scored 1036 runs at an average of 34.53 in 36 innings with 6 fifties.